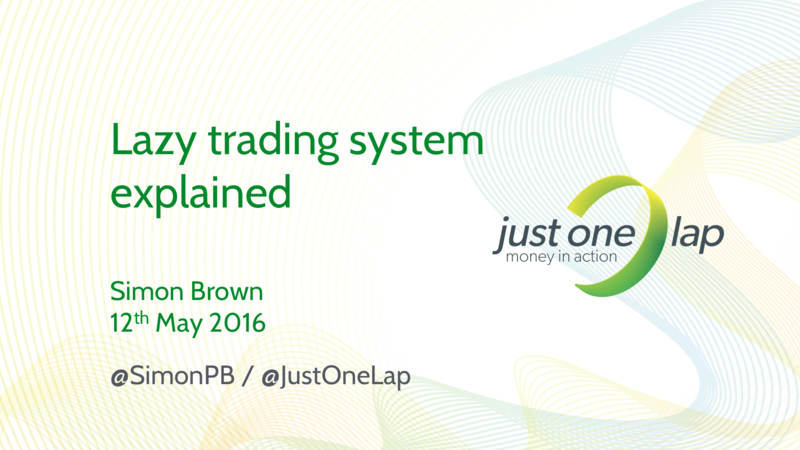 The Lazy Trading System was designed by Just One lap founder Simon Brown over ten years ago as a trading system that attempts to capture the large moves in the market using some very simple technical analysis. Over the years he has refined it and these days he’s using a weekly chart trading the four main sub-indices on the JSE; Resi10, Fini15, Indi25 and the MidCap. You can sign up for email alerts as trades are executed here.